Let’s Take a Journey to Nicaragua! Have you heard the news?? 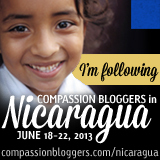 The Compassion Bloggers are heading to Nicaragua this month and they have invited all of us to join along! Well, not really travel with them to Nicaragua, but they would love for us to be praying for them as they prepare for their trip, and to follow along with their blog posts as they write about their experiences on this journey. 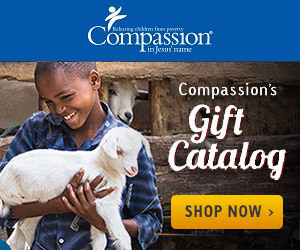 When you go to this Compassion Bloggers link, you can find links to the bloggers who will be travelling on this trip. I hope to take time this week to visit each one of their blogs, get to know them a little bit, and let them know that I will be praying for them. Will you consider doing the same? I know I have really enjoyed the blog posts from previous trips (you can read the previous trip blog posts here). This time, I will be reading with new interest as I prepare for my own Compassion trip to Mexico in January!